Betting tips, enhanced odds and preview of night seven of the Premier League darts. Both of these men are playing well and like the market, we’re finding this a tough one to call. Gerwyn Price is averaging 99.22 this year and Rob Cross 99.87 (both of which are inside the top-three), while there is also little to choose in their head-to-head record, with the Englishman just ahead 3-2. The only man to beat either of them so far in this years’ Premier League is MVG, so we’ll have a stab at a draw in this one, especially as Price has shared the spoils in half of his six matches to date. 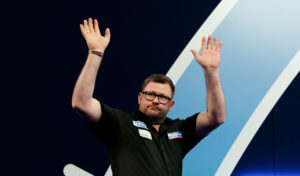 These two can’t be split on seven points in the table, but we’re surprised to see James Wade as is the outsider in this match, given he’s been the stronger player over the last 12 months. There’s not a lot to split them in terms of averages since the beginning of 2018 – 95.13 v 96.75 – but crucially Wade is winning 70% of his matches to Wright’s 67%. What’s more, the Machine has won their only meeting this year, to lead 18-17 in their head-to-head record. Daryl Gurney continues to frustrate as he made the final of the Players Championship on Saturday but then lost in round two the next day, encapsulating his up-and-down form over the last year or so. Michael Smith goes off as favourite here, but we’d have them a lot more even in the market. Indeed, the Englishman is one place behind Mensur Soljovic in 6th in the table, and although Smith is just shading Suljovic in term of average in 2019, the Serb leads the way in this competition specifically, 96.37 v 100.99. 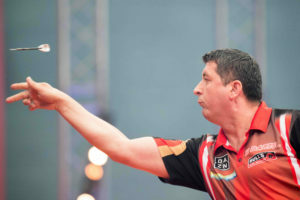 Moreover, Suljovic leads their head-to-head 8-6, whilst he also won their only Premier League meeting 7-2, so represents the value as the outsider. Ctrl C, Ctrl V. Raymond van Barneveld continues to be over-estimated in the market and having not won a match in the first six weeks, leaving him rock bottom, we’re going to take Barney on once more. Max Hopp is aiming to become the first contender to win a match at this year’s Premier League and looks to have a fantastic chance of doing so. The 12,00 strong crowd in Berlin will be sure to get behind their countryman and Hopp clearly relishes playing in his home country given the last time he played here he made the semi-finals of the European Championship in October.